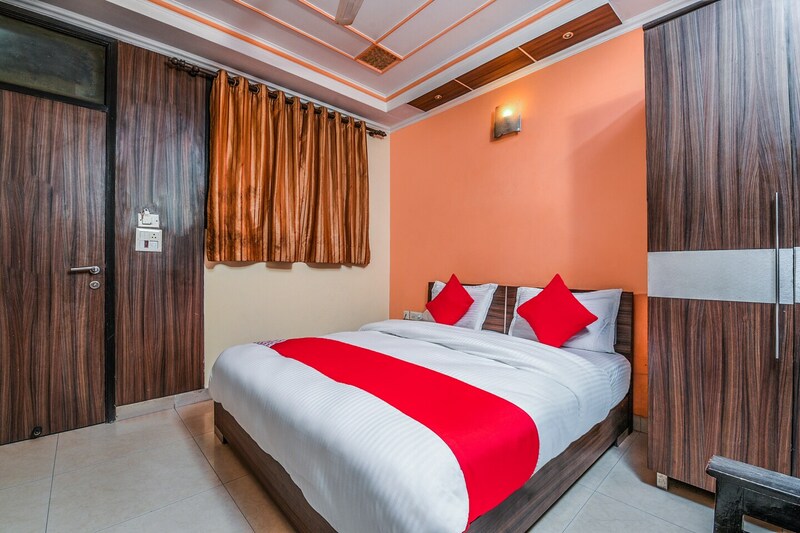 Durga International is a homely accommodation located on DB Gupta Road in Paharganj. New Delhi Railway Station, New Delhi Metro Station, Connaught Place, and Chandni Chowk are some landmarks near the hotel. The rooms are of decent size and are decorated in bright colours and simply furnished. Rooms include a queen sized bed, TV, AC, and mini fridge. Other amenities that are offered include free Wi-Fi, power backup, parking facility, seating area, and laundry. There are a number of restaurants like Maa Bhagwati, Nand Di Hatti, Radhey Shyam Subhash Kumar Special Chole Bhature, The Shim Tur, Kitchen Cafe Roof Top Restaurant located close to the hotel.